Managed by our V-Auto App and connected to our network with a V-Sim, V-Auto transforms your everyday car into a smart car. 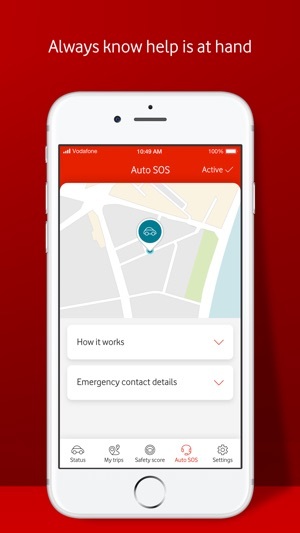 With a whole suite of features like Auto SOS, Find my car and so much more, you can have confidence that you and your loved ones are safe when on the roads. 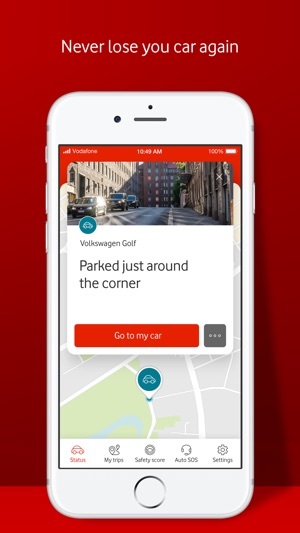 • Find My Car shows you where your car is on the map, whether it’s on the move or parked. 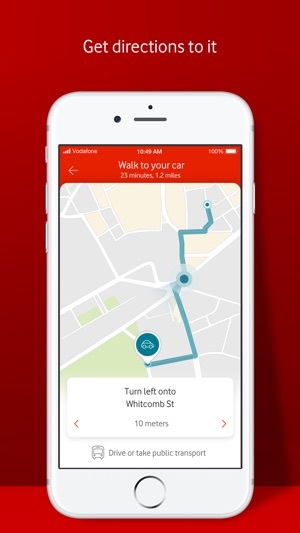 Get directions to its location by foot, car or public transport – making every journey easier, from the very start. 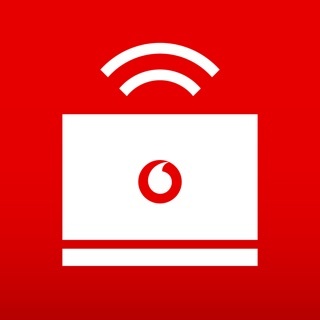 Vodafone V-Auto. Connected Car. Safer Journeys. 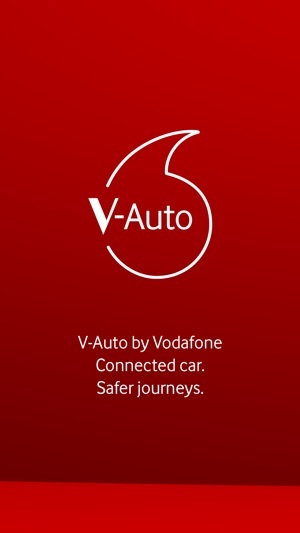 V-Auto App is part of V by Vodafone. Download V-Auto app for free to setup your V-Auto and unlock a new way of driving that gives you confidence that you and your loved ones are safe. •We’ve added more details to your safety score, giving you more information on what influences it. 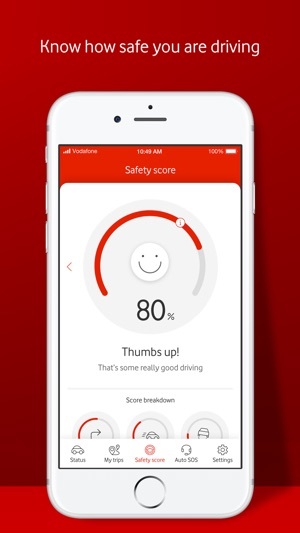 •You can now see how your safety score compares to all V-Auto users. •We’ve fixed some minor bugs. To start of with, I attempted to setup the device using my iPhone X (on the latest public iOS release) and it kept telling me that the server was busy. Tried a few more times over WiFi and 4G/3G, over the space of an hour and same thing. Just out of interest, I tried setting it up using the app on my iPad instead and this worked instantly with no issue at all (using the same WiFi connection). Now that the device is setup, I can now use the app on my iPhone, but it is not a great experience. The app has been “optimised” for the iPhone X screen as it fills the screen, however the status bar is squished, the app constantly says “Something’s up with the server” so i can’t view my trips. I can see where my car is parked and get directions, view my safety score and check the settings, but not much else. I have no such problems when using the app on my iPad (despite it not being optimised for an iPad). I do want to say that the device itself, and the service is great. I got a call from the Auto SOS team 5 minutes after I knocked the tracker while sorting out the carpeting just to make sure I was ok, and they reported the alert as a false alarm. Bought this in a Vodafone shop, the guy checked compatibility details etc with my vehicle. Spent ages registering in store with them. Went back to my car, installed it and waited the 30mins or so it took to register the device. Done a few journeys and nothing is registering in the trips etc. Contacted their support (which is awful) and they said it’s not compatible with my vehicle (the guy couldn’t get his head around that the vehicle model and year of registration is not the same thing - website shows it IS compatible with my vehicle model). So just doesn’t work for me and their support told me I must return to the exact store I purchased from 20 miles away (not my nearest one). The app does what it says on the tin. Would be good if the app could automatically tell you if your car has moved when your away from the car. Most, if not all people will have their phone on them when they go anywhere. Yes there is the added permission that the app can access your location all the time, but it’s better than having to manually keep turning on the motion alert. 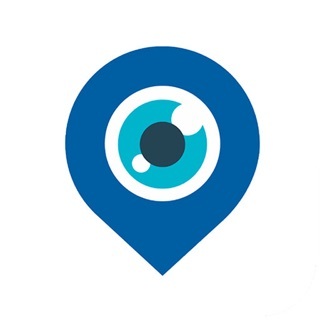 Additionally a good feature for parents keeping an eye on their kids?